StormDesigns... 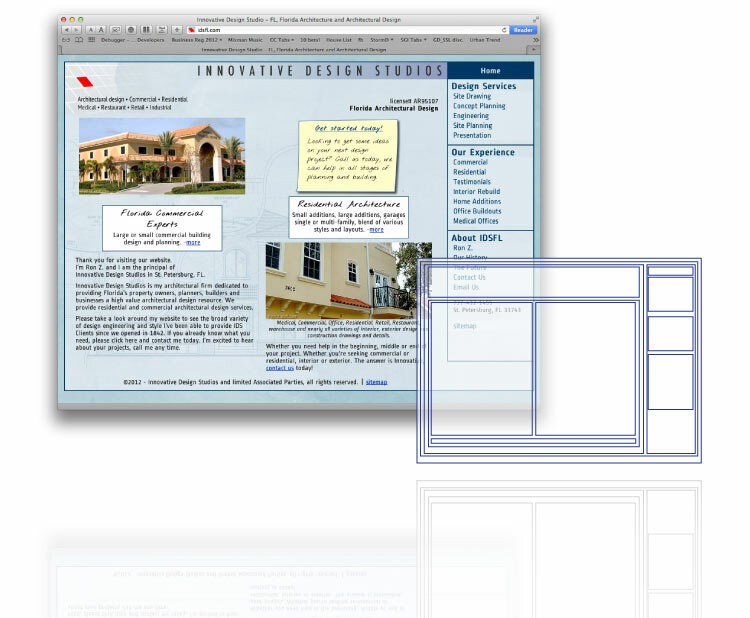 Think of us as the Responsive Website Designers. From the most concise brochure websites to WordPress live systems, shopping carts for ecommerce, custom web applications and frankly nearly anything imaginable. Whether you have a site needing attention or having problems or if you have a business that needs a new site from the ground up. Any questions? - Find out how responsive we are. We provide design, development and hosting assistance on a broad variety of internet technology and design focus. Helped this client develop their first website many years ago. Since then we’ve gone through 3 permutations together including the current bootstrap responsive layout. We didn’t know how complex fishing lures could be! 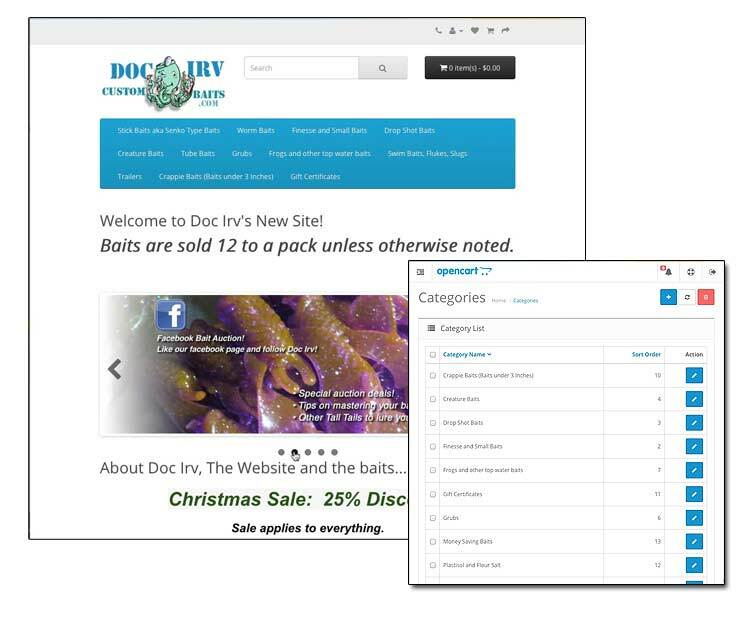 Doc Irv’s store needed to be able to configure his product with his insane number and configurations of options. We just made sure it happened. Took over a previously underperforming brochure branding Website. Added Jquery interactive elements with an updated appearance and focus on SEO engagement content. 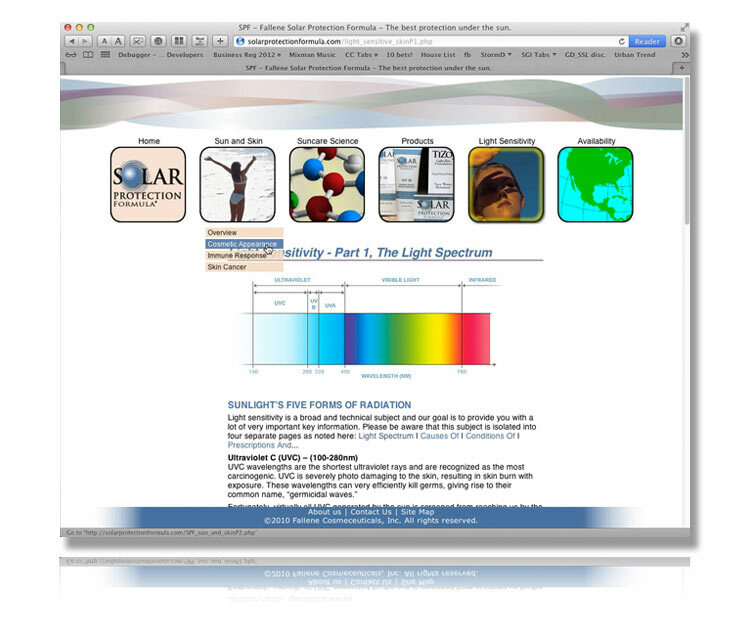 This was an example of their Website as a part of an overall branding update. 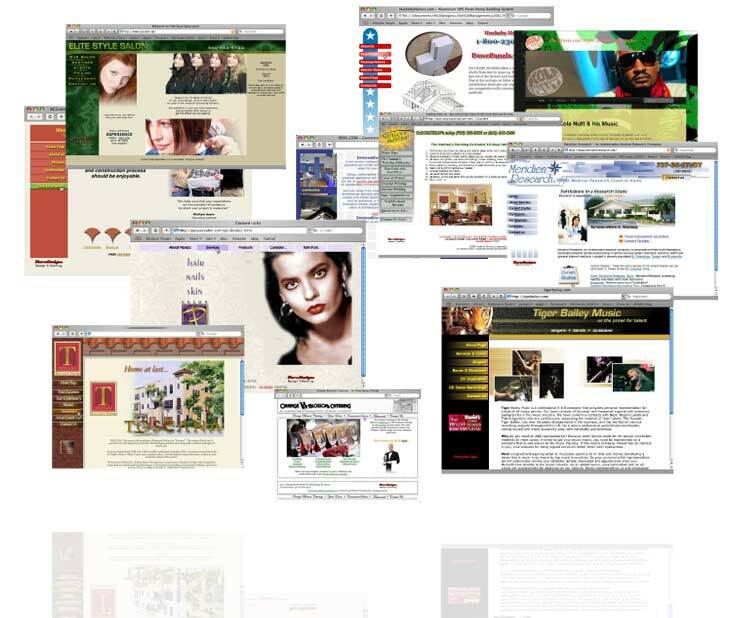 The website carried through and expanded on themes developed simultaneously for print media. Project is now in it’s second generation. 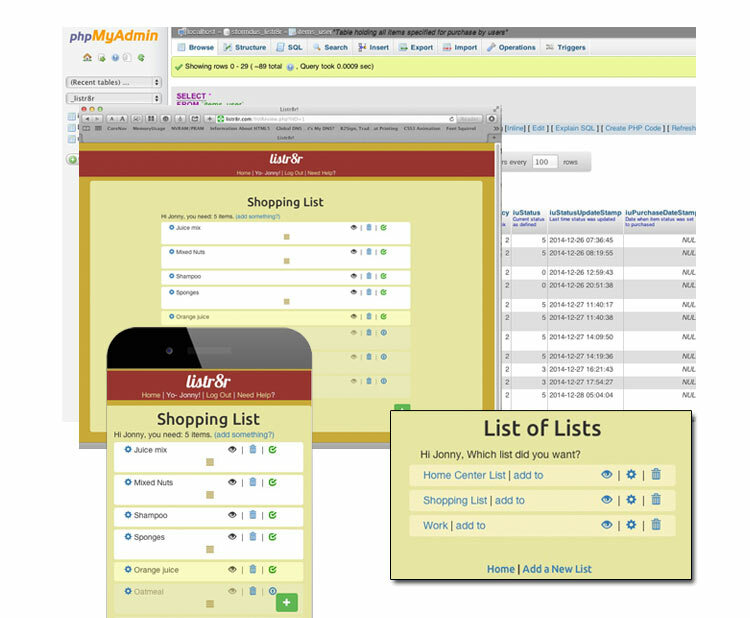 An internal project developed to facilitate list making and sharing via a responsive web application. This was an internal concept to completion project including UI/UX and Data Services. 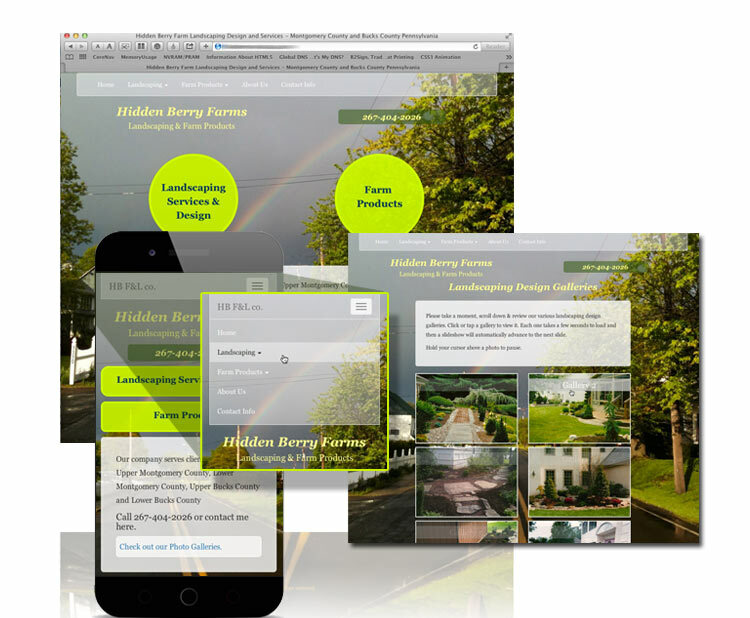 Helping a high-end architectural client define their look via the web. 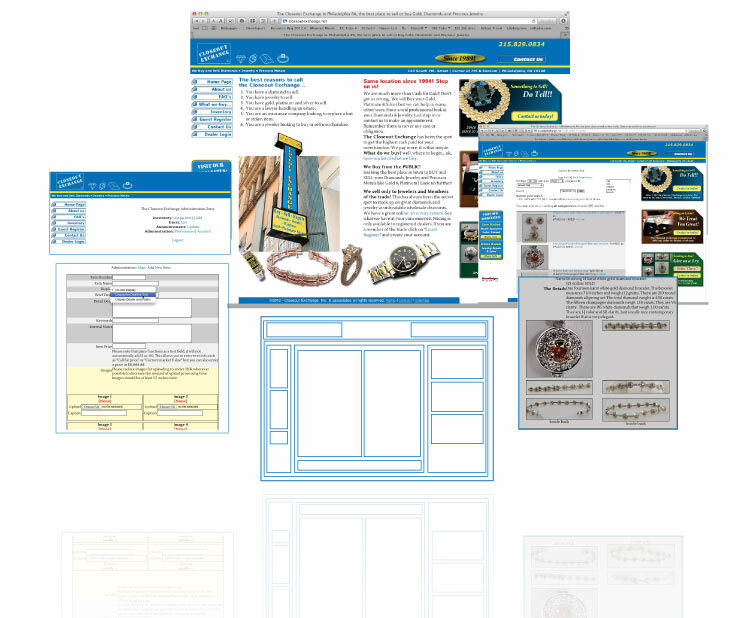 We inspired and build an innovative layout that has the feel of classic architectural blueprints. A family business confectioner with a strong local reputation on the Philadelphia Mainline. 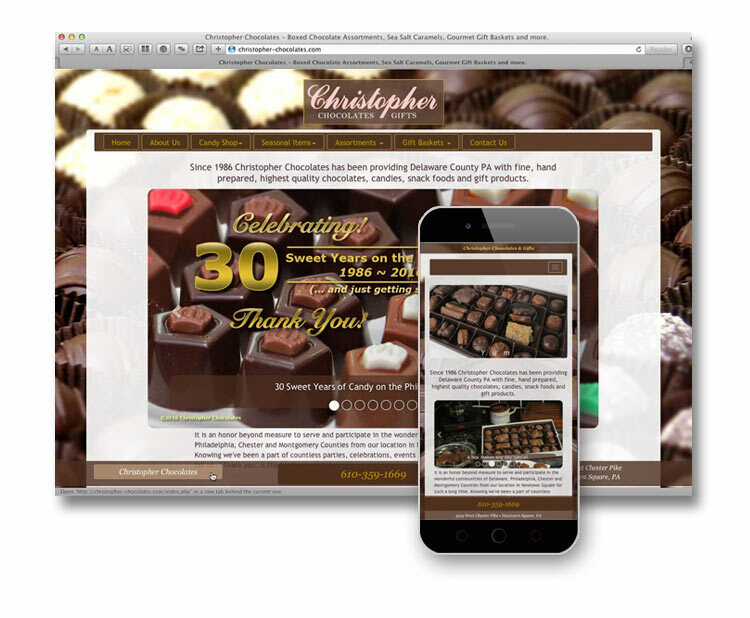 Worked with them to update their online presence and refine their brand through a delicious new responsive website. Financial Services for Businesses & Personal. We helped our client define their suite of financial products for their clients. The updated website design and content program gets clients quickly to the resources they're seeking while creating more brand awareness for our client.. 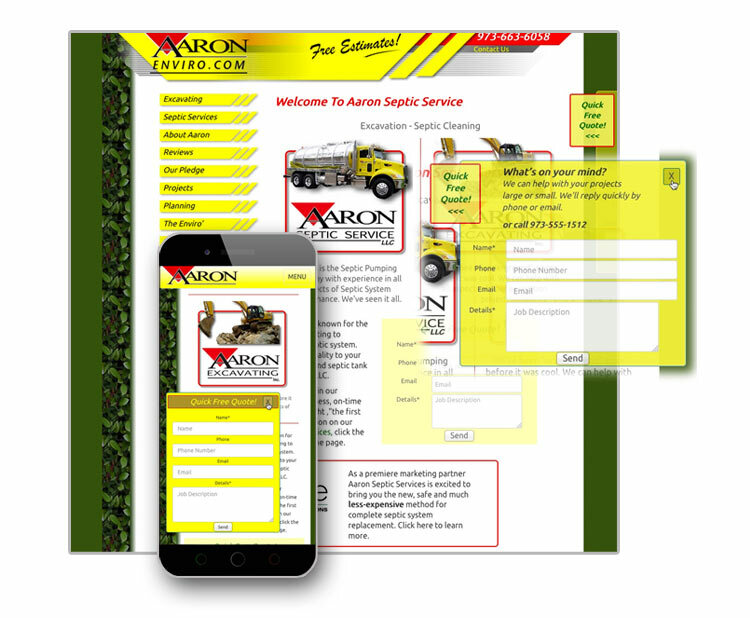 Client needed a simple, attractive way to show new clients their gallery of landscaping work. Created a set of Bootstrap powered carousels to make it fun and easy to review their projects. We’ve worked with one of Philadelphia’s Premier Gold & Diamond exchanges right on Jewelers Row to help them create an efficient and easy way to connect to people looking to buy and sell fine jewelry. 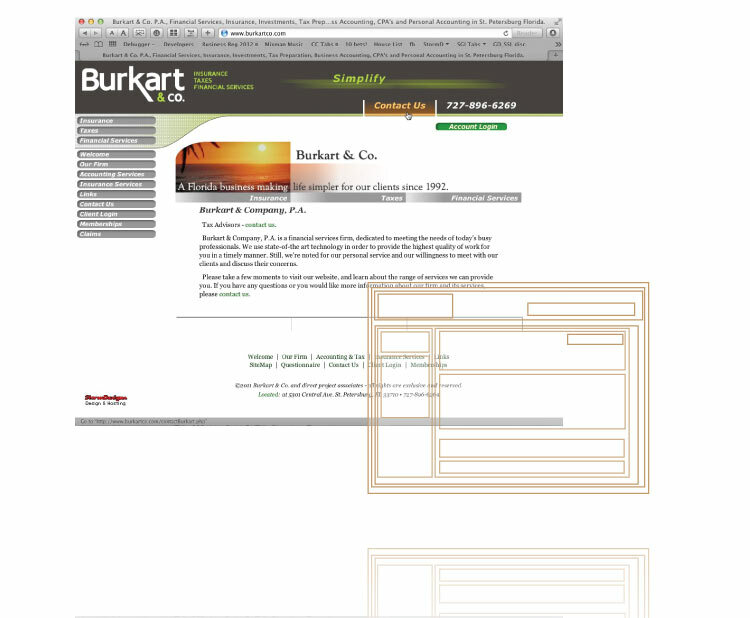 Internal project demonstrating the ability to take an abstract idea like “Decision Making” and turn that into a web based application. 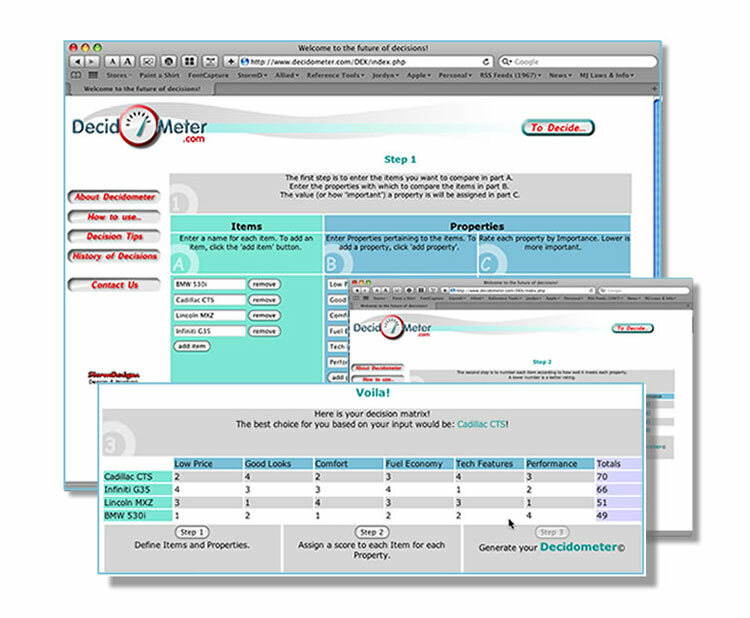 Decidometer makes even hard decisions an easier and more thoughtful process. StormDesigns consistently remains at the forefront of internet technology to assure your projects are not only compatible but make use of current technology. This doesn't mean chasing after every new thing we hear about at the next "meetup" (could make you crazy) but vetting technology to see what will stick and what is useful to the broadest array of ourt clients. Below are listed some of these technologies. StormDesigns has been leading the way with Responsive Website design and development for years. 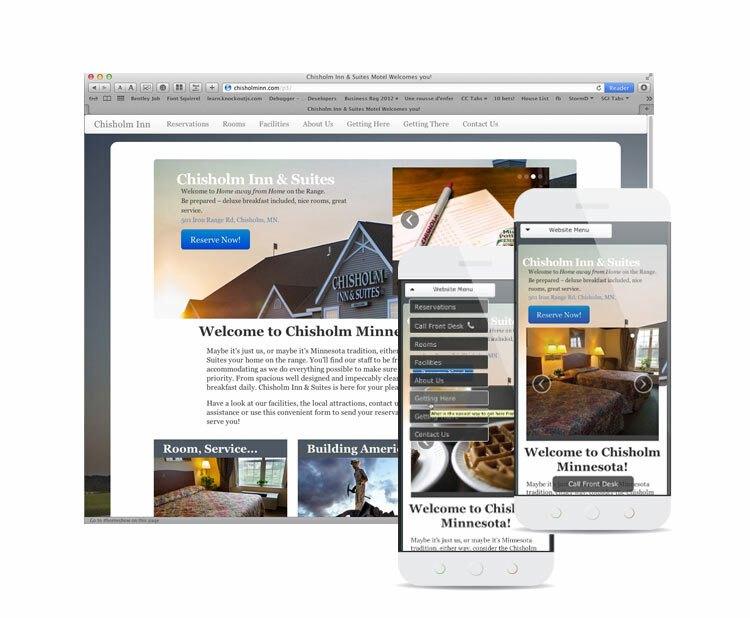 If you’re looking for the responsive website Designers, look no further! If you have a project in mind or questions about something you’re developing please contact us to learn more.